Exhibitors - Start planning now for how you will have fun and be creative in both your booth presentation and your attire. The winner receives a free booth space for 2020 and the runner up a free wine dinner in 2020. 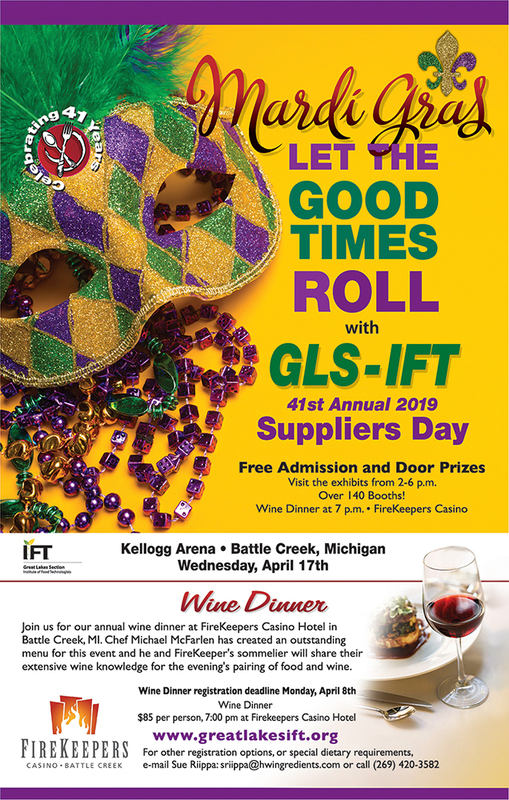 Advance shipments to the Kellogg Arena should not arrive more than 3 or 4 days in advance and should be clearly marked with their booth number and company name. There will also be a special area to stage packages for a return shipment to you as well (bring your own labels and packing tape!). 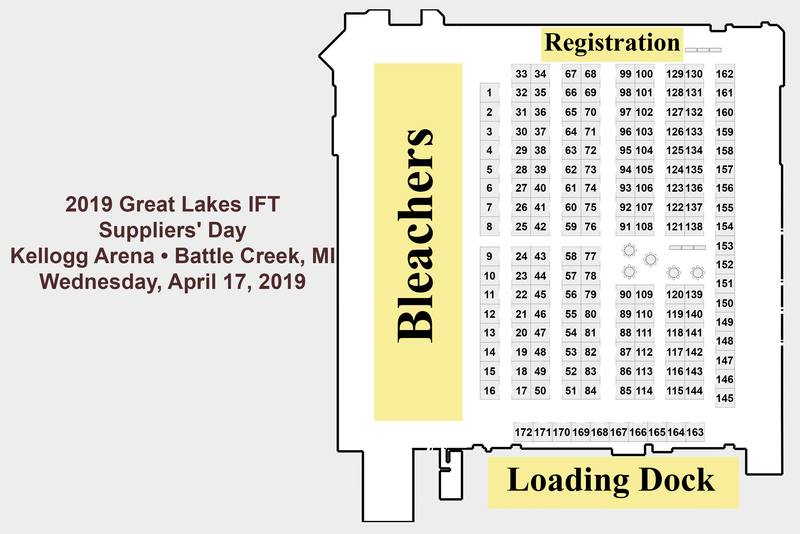 11:00 AM - 2:00 PM Exhibitor Check-in & setup—also buffet lunch available for exhibitors until 1:30 PM. Booth Space: $300.00 for each 10x10 booth. Booth Includes pipe and drape area with one 6' draped table, two chairs, and a standard booth sign. 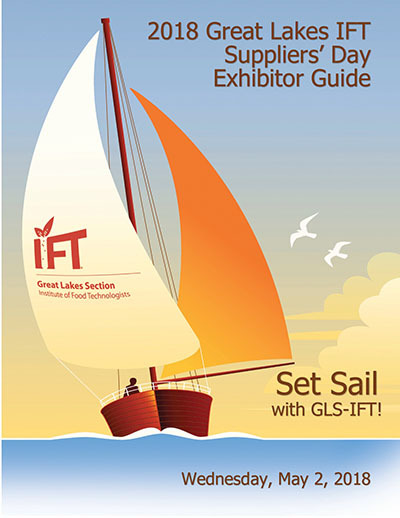 Thanks for supporting Great Lake IFTs Suppliers' Expo!